Save the time and cost of shipping. Receive the same software via download. Simple. Easy. Hundreds of students like you have already downloaded and ALL of them are satisfied customers! Start preparing now - you're motivated or you wouldn't be reading this! 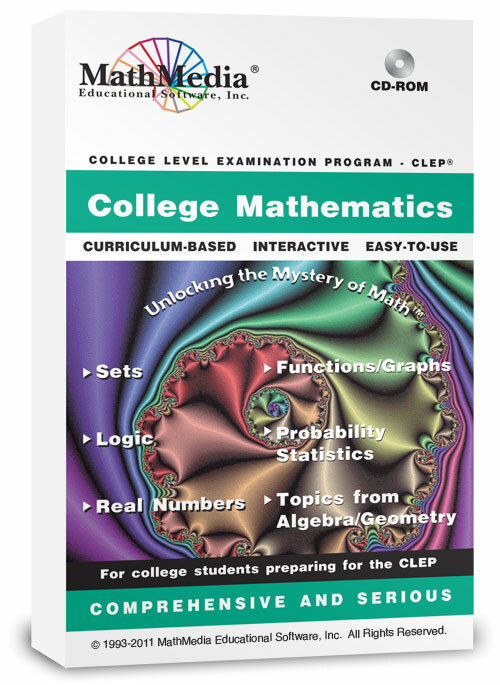 Be disciplined - work on the software as often as you can - we recommend 20 "serious" minutes per day until you understand ALL the material in this CLEP College Mathematics preparation software. Take the practice CLEP test and have your weaknesses analyzed. Go back and do those sections - even if it is a second time - you learn the material more solidly. 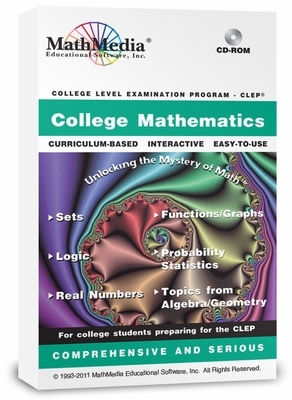 When the time comes to sit down and take the actual CLEP College Math exam, there will be no surprises - you will know what you are doing and feel confident about the math skills being tested. The download for this product will be available to you at the end of the checkout process. Due to the nature of security measures on your network, some firewalls may prevent the download from our store. If you experience difficulties while downloading, please contact us immediately so that we may arrange to deliver the software via other means.